Previously published in The Unmooring (Mansfield Press, 2018). 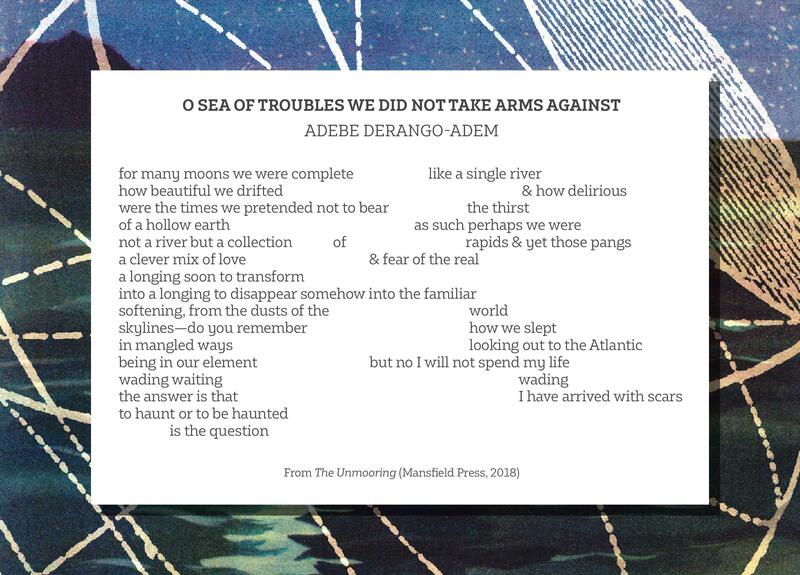 Adebe DeRango-Adem is a writer and former attendee of the Jack Kerouac School of Disembodied Poetics (Naropa University), where she mentored with poets Anne Waldman and Amiri Baraka. She is the author of three full-length poetry collections: Ex Nihilo (Frontenac House, 2010), which became a finalist for the Dylan Thomas Prize, Terra Incognita (Inanna Publications, 2015), which was nominated for the Pat Lowther Memorial Award, and The Unmooring, published in 2018 by Mansfield Press.